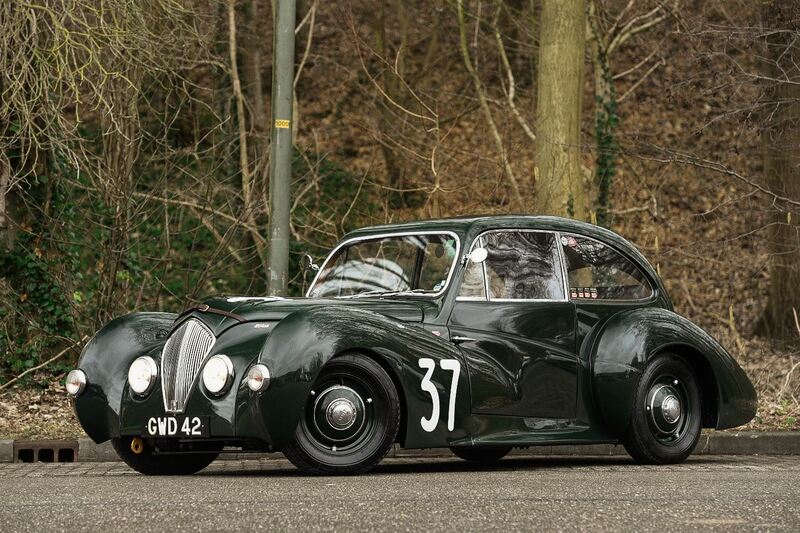 1 of only 101 examples built of which 25 are believed to exist. 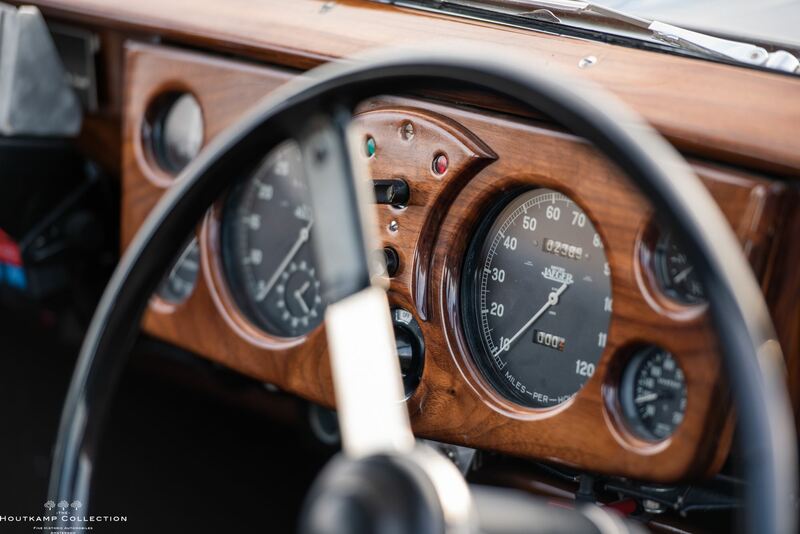 The car is recently technically completely checked and is ready, whether that be for personal use or as a entrant for the Mille Miglia. 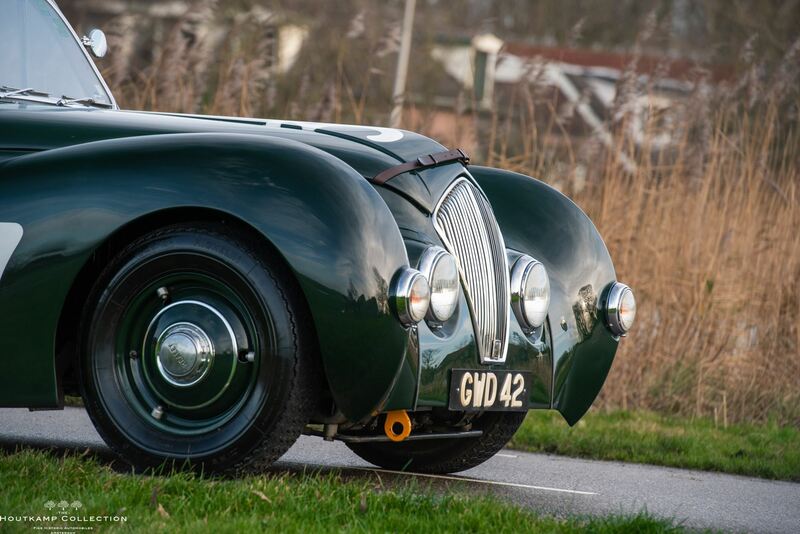 Having achieved considerable success in the Monte Carlo and Alpine rallies prior to the war, Donald Healey was anxious to produce his own car. 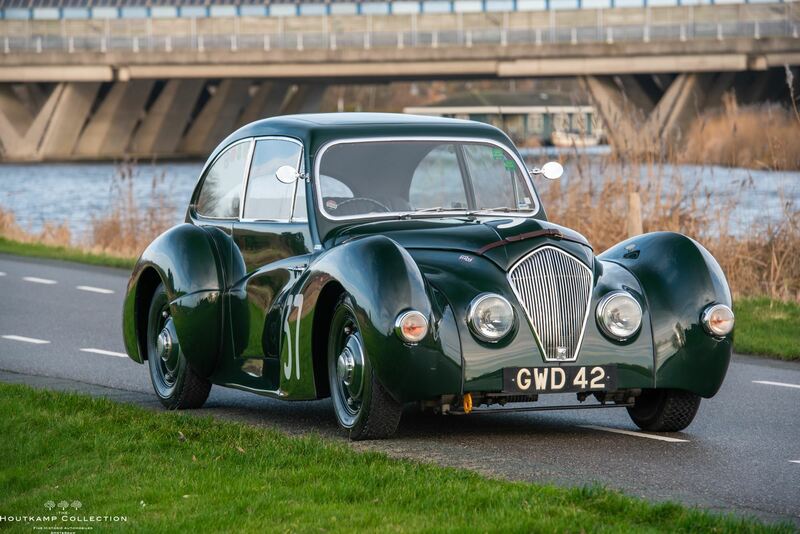 During the latter stages of the Second World War, Donald Healey produced a vehicle that would be based around an innovative chassis designed by Barry Bilbie. 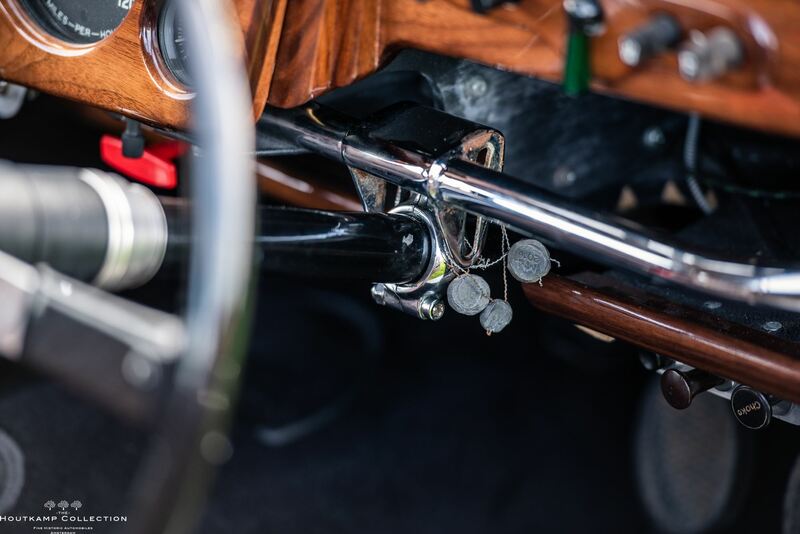 With a potent 2.4 litre Riley engine, and independent front suspension and a unique steering mechanism, the new car resulted in an excellent package for competition. 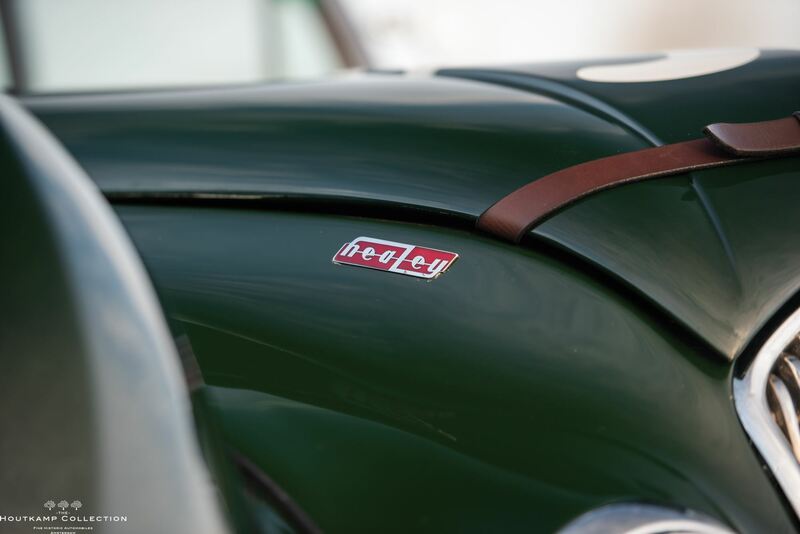 Late in 1946 the first roadster version was produced called the Healey Roadster, produced by the Westland Motor Co. 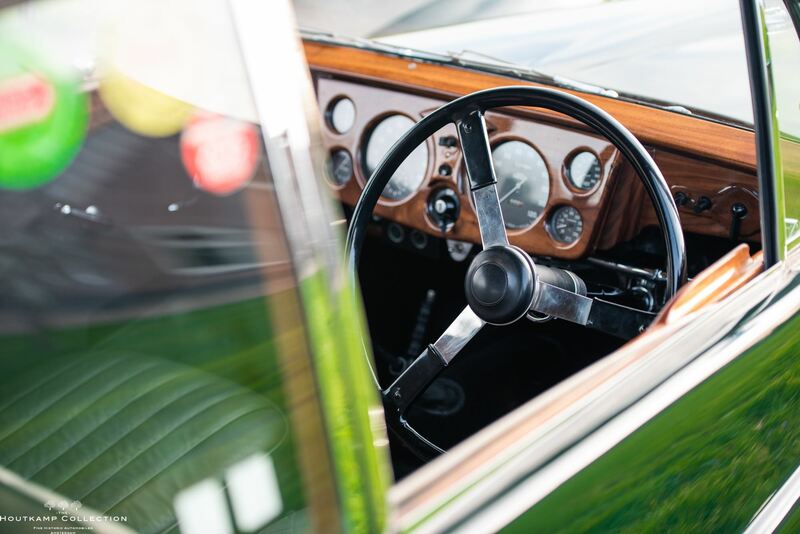 In order to achieve greater top end speed a Healey Saloon was created by Samuel Elliotts of Reading. 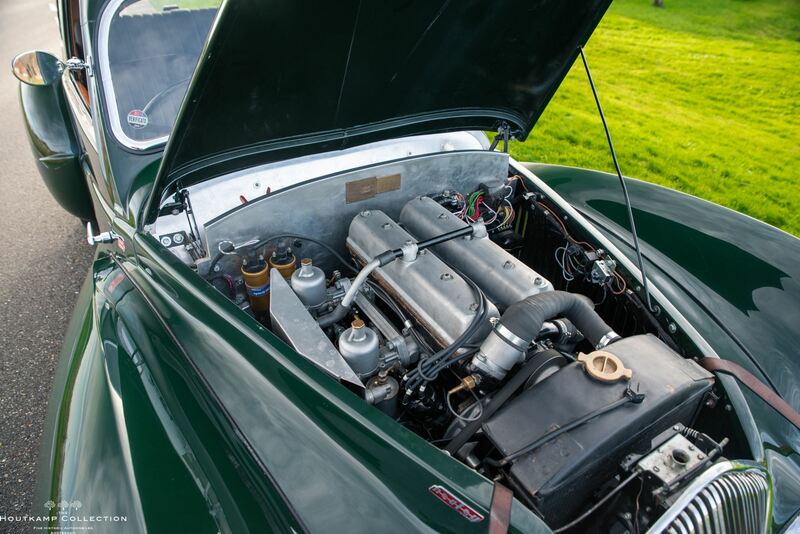 The Healey Saloon had an all aluminium body. 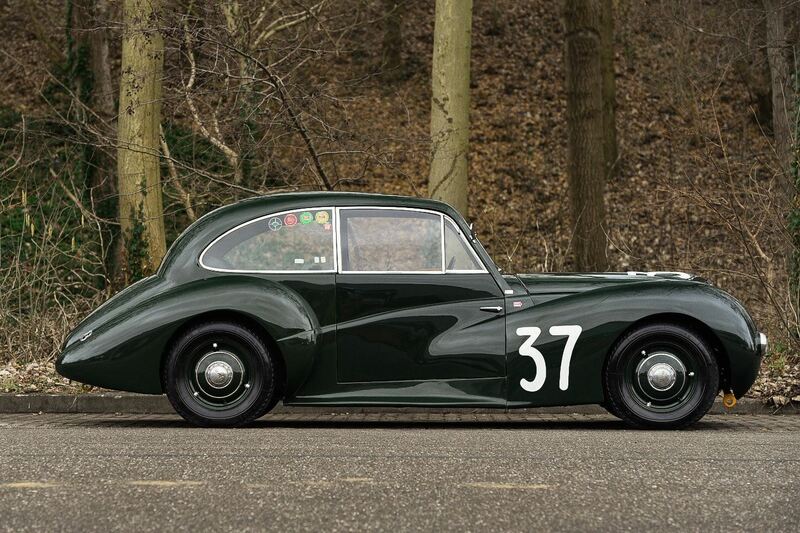 In 1947, a Healey Saloon was taken to the Jabekke-Aeltre highway in Belgium and achieved a top speed of 111.87 mph. 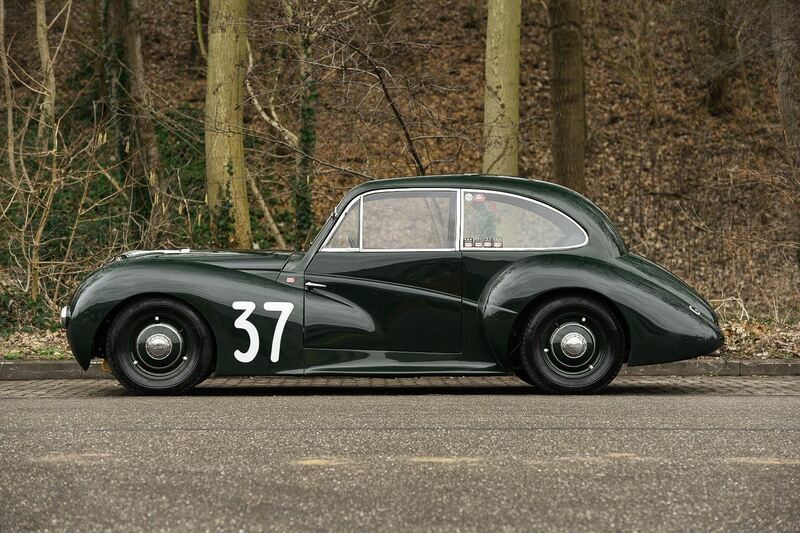 The Healey Saloon was advertised as the fastest production saloon in the World. 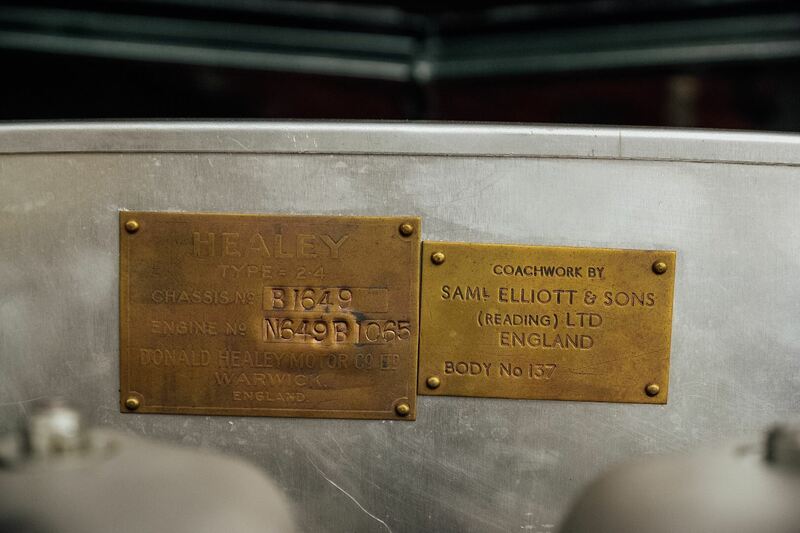 In April 1948 the factory prepared two vehicles specifically for competition, a Healey Elliott (GWD42) and a Healey Westland (GWD43) and registered both vehicles at Warwick on 21 April 1948. 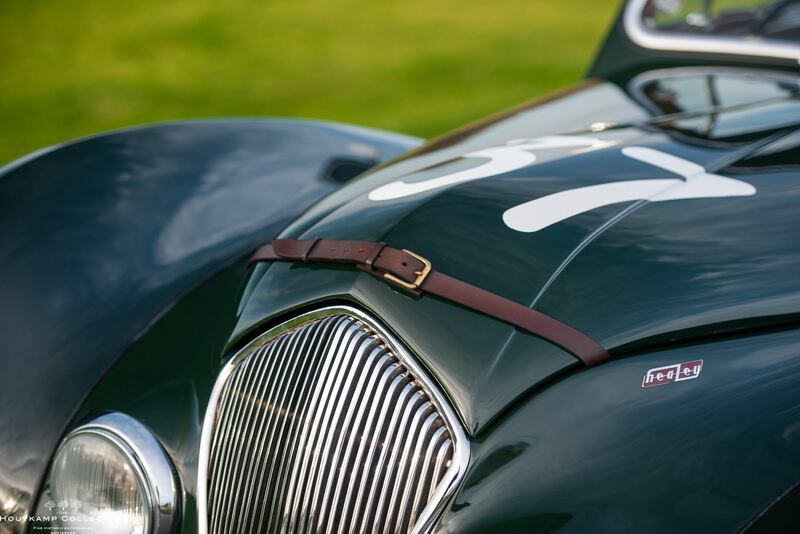 The first Mille Miglia after the war, in 1947, was made up entirely of Italian entries, and so, in an effort to promote the British Car Industry and unity between the nations after the recent conflict, six Healeys were entered for the fifteenth Mille Miglia in May 1948, of which four were accepted. 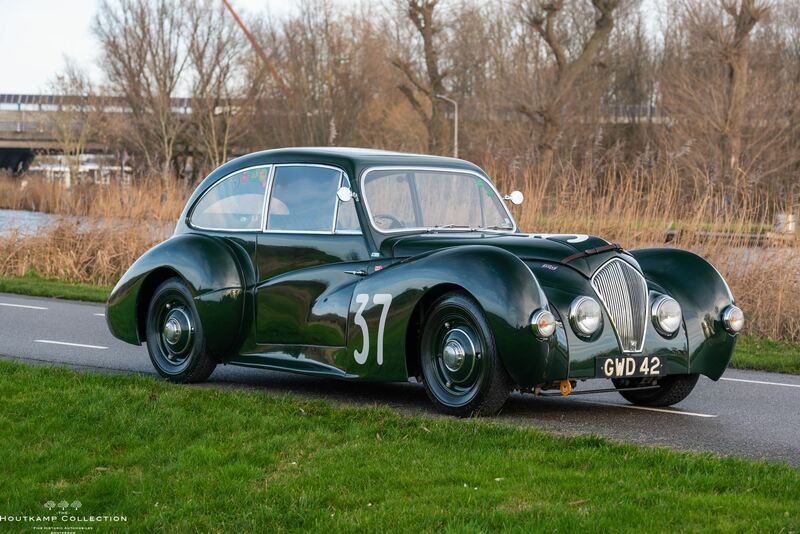 An official Healey Team of three cars, which comprised the two aforementioned factory prepared vehicles and a further Healey Elliott car, previously prepared by the factory for Count Johnny Lurani, who had achieved first in class during the Targa Florio a few weeks earlier. These were the only cars within that year’s event which were not Italian. 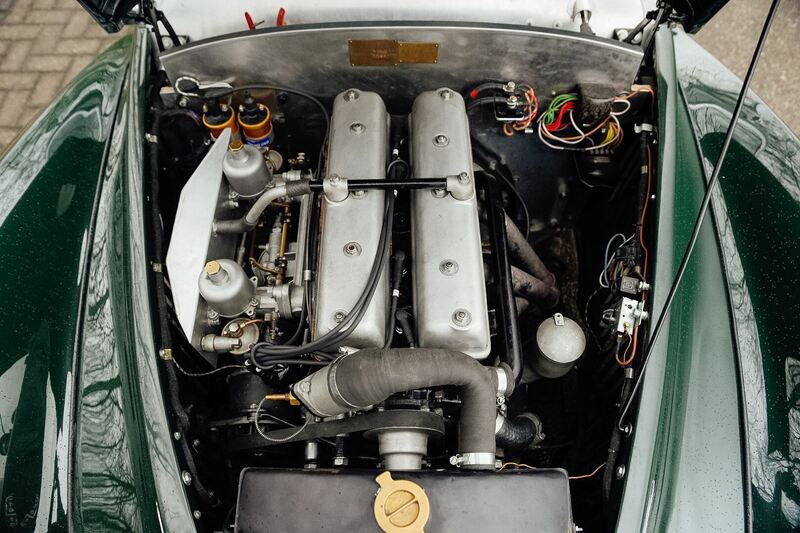 The factory prepared Healey Elliotts had their sun roofs removed to further lessen the weight of the car. Being flagged off before the other team members, Nick Haines and Rudolfo Haller, a well known hill climbing champion, departed Brescia in car number 37 the Healey Elliott (GWD42) and thereby was the first non-Italian car and first British car after the war to take part in the event. 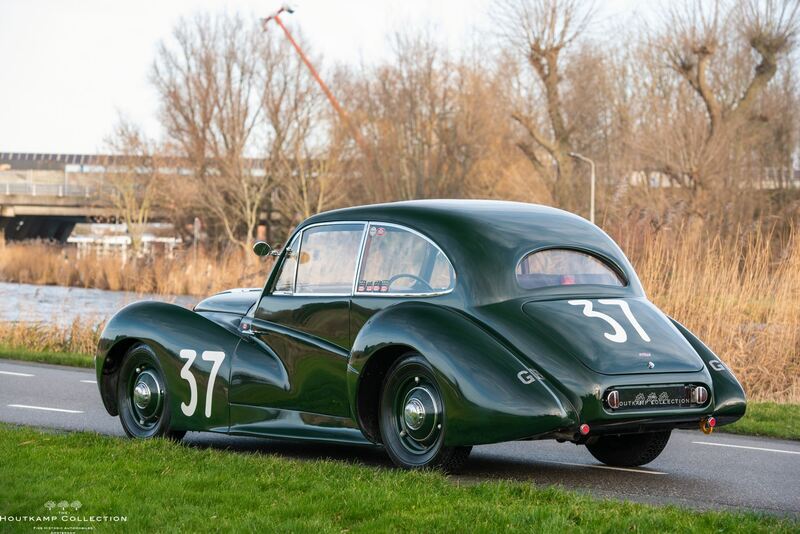 Of the 186 cars taking part in the event that year, 61 cars, including the two Healey Elliotts, were competing within the Standard Touring Car Category. 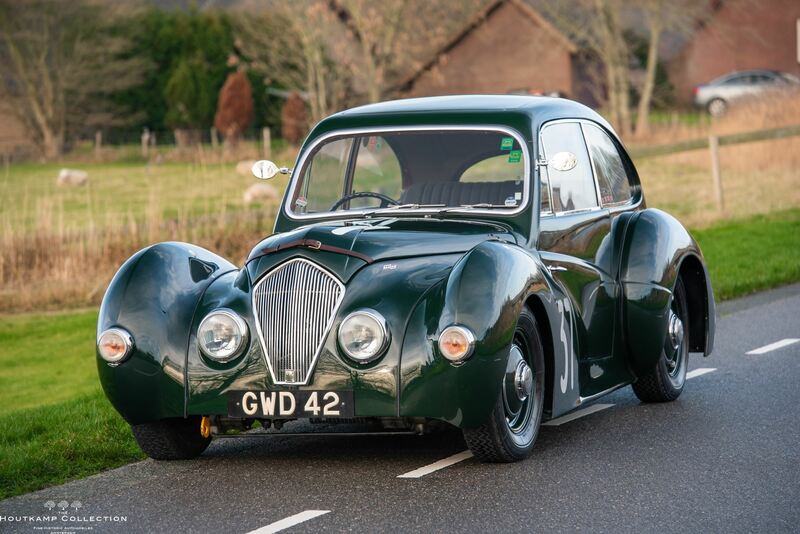 This specific Healey, GWD 42 was built and registered in Warwick in 1948 and prepared specifically for competition. 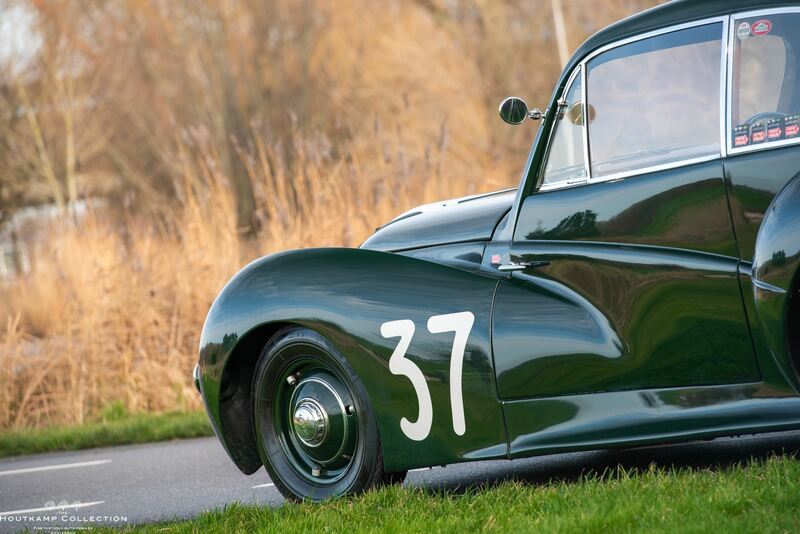 The Healey is perhaps one of the most historically important Healeys in existence with an impressive race history. 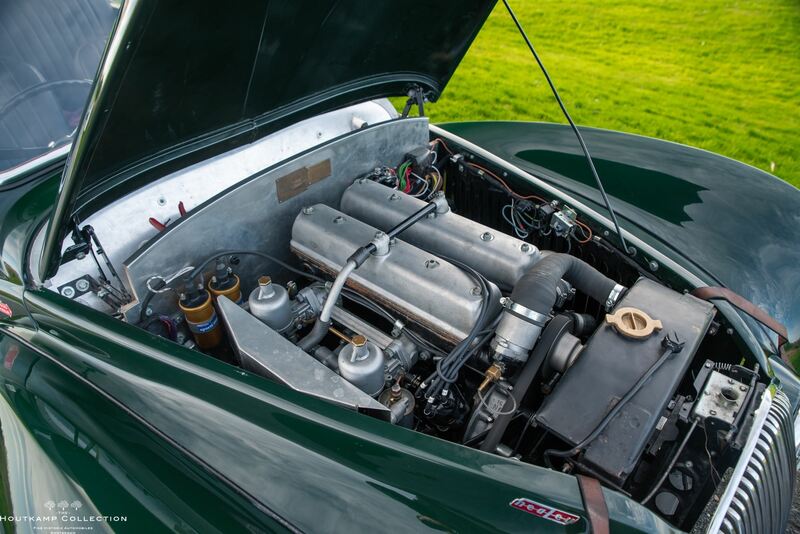 The Healey Elliott and its open top sibling the Healey Westland Roadster were the first cars manufactured by Donald Healey. 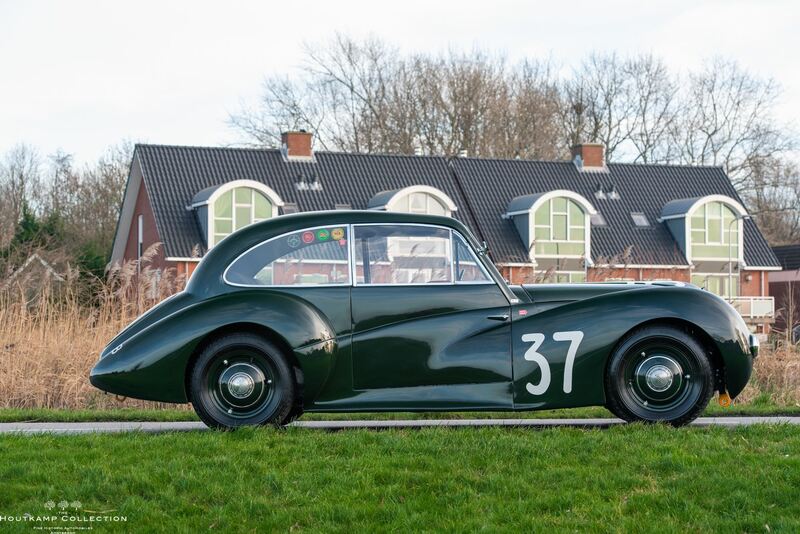 The cars were prepared for the Mille Miglia in 1948 and this Healey with registration number GWD 42 started as number 37. 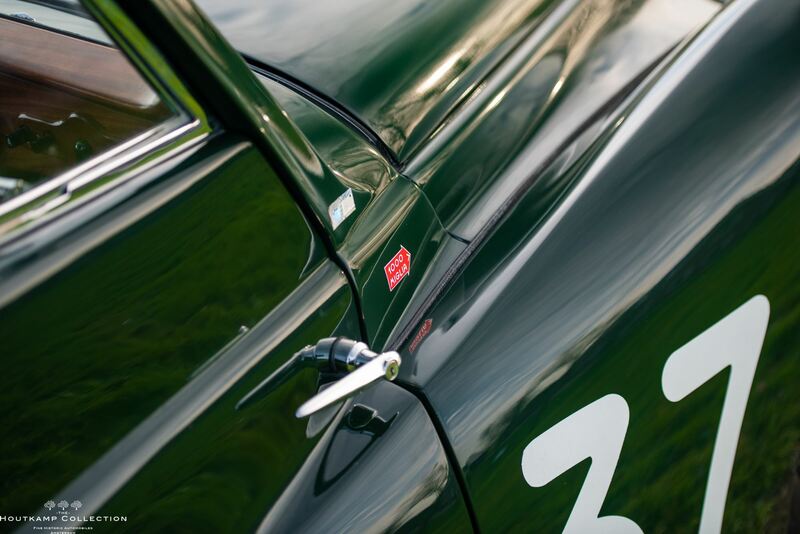 Amongst the Mille Miglia this car was also entered for the Spa Francorchamps race. 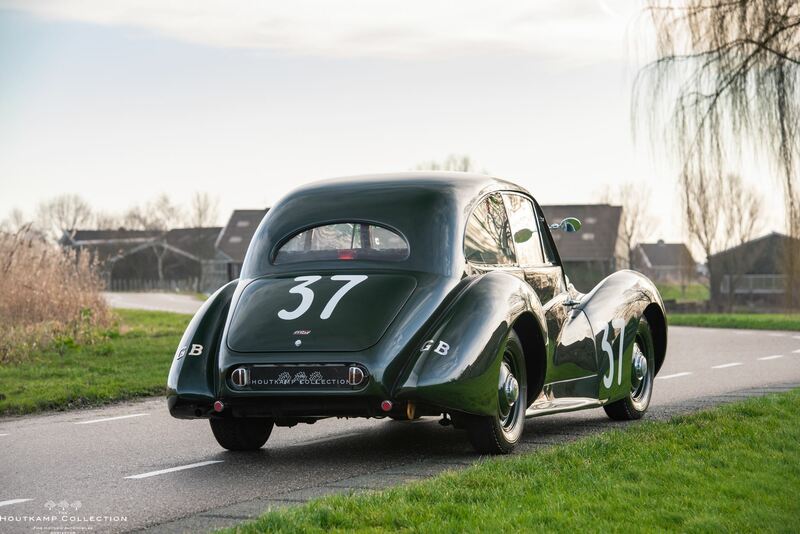 Le Mans had yet to be revived after the war and the Belgian Grand Prix was to be the most prestigious endurance sports car race for 1948. 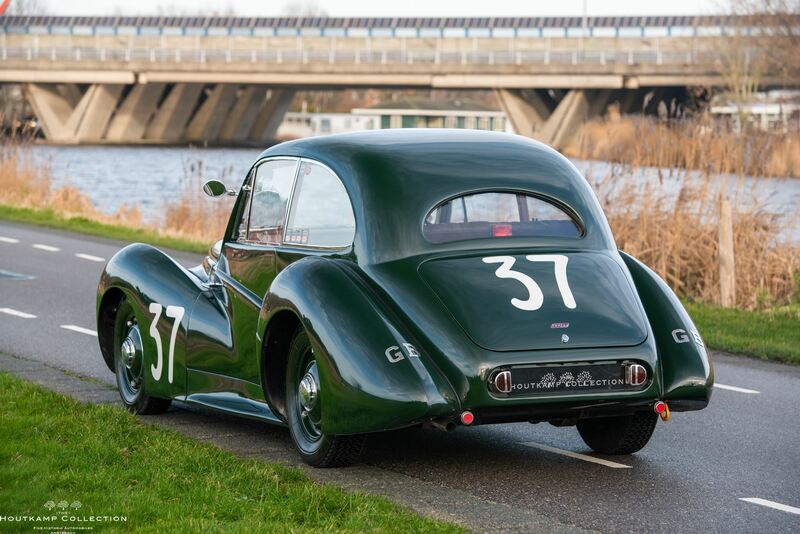 So in July 1948 GWD 42 was entered in the Belgian 24 hours race. 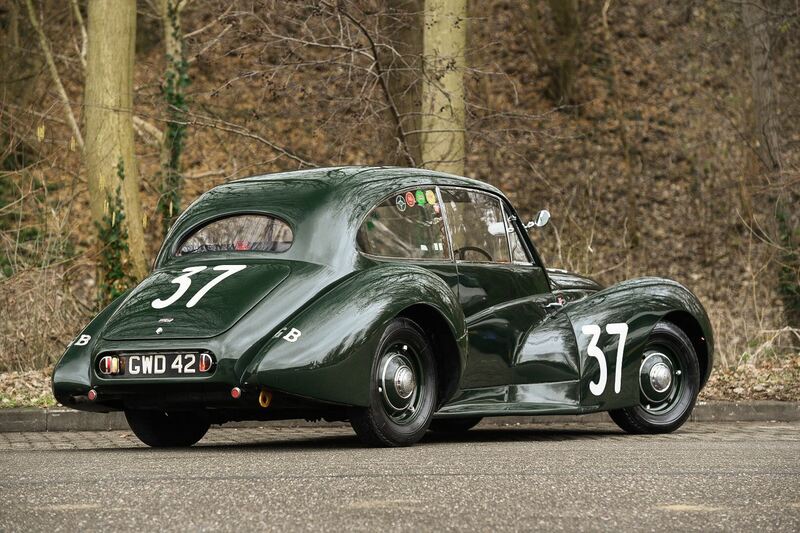 It was the only Healey entered for the event and thereby became the first healey to be officially raced on a circuit. GWD succeeded the 24 hour race and finished 8th overall and second in class. An amazing success off-course. 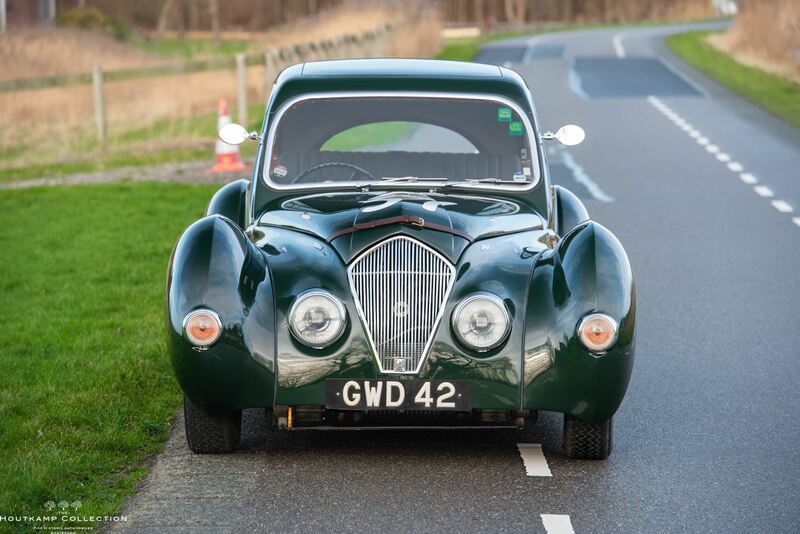 Towards the end of the season GWD 42 was also entered in the Paris Twelve Hours race at the famous Montlhery race circuit. The BRDS entered a British team which included GWD 42. 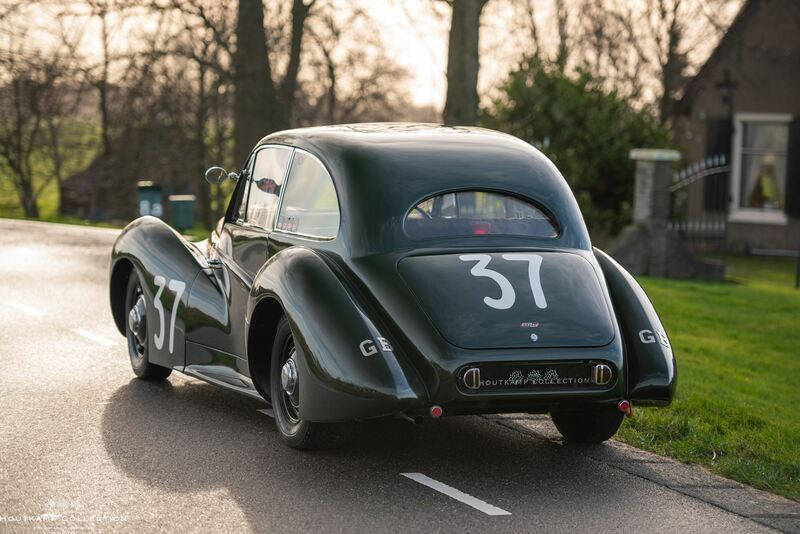 The weekend after The Paris Twelve Hours, GWD 42 drove at Goodwood for a meeting in September 1948. 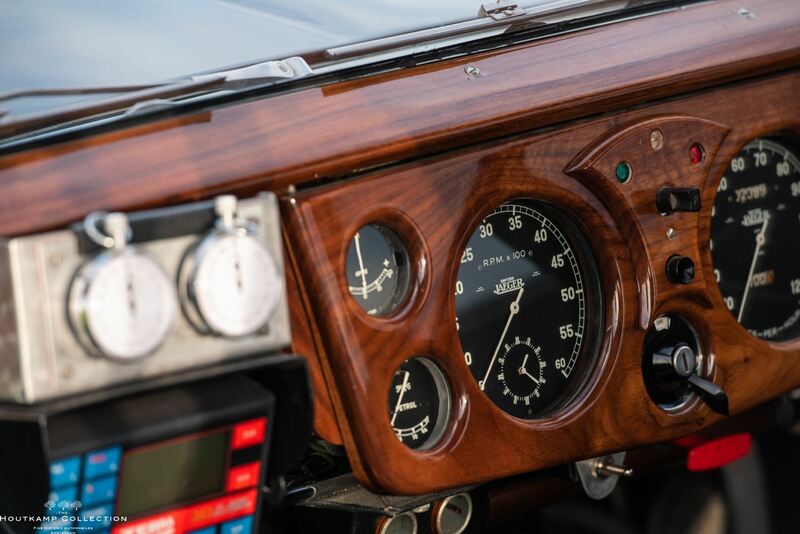 This was the very first official race at Goodwood! 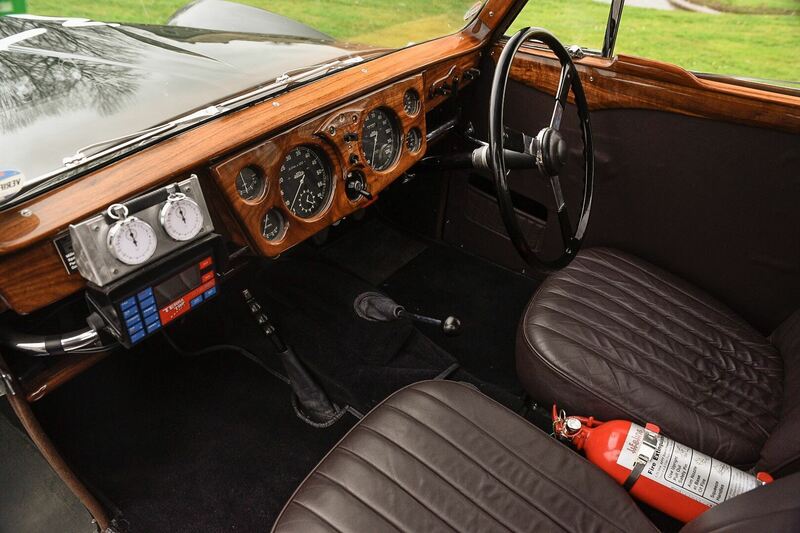 The body of the Healey is in a very nice condition. The paint is very recent and has a beautiful deep shine. One can find some very minor spots on the car due to use but honestly this belongs to a rally car. In our opinion the car must not be too perfect. 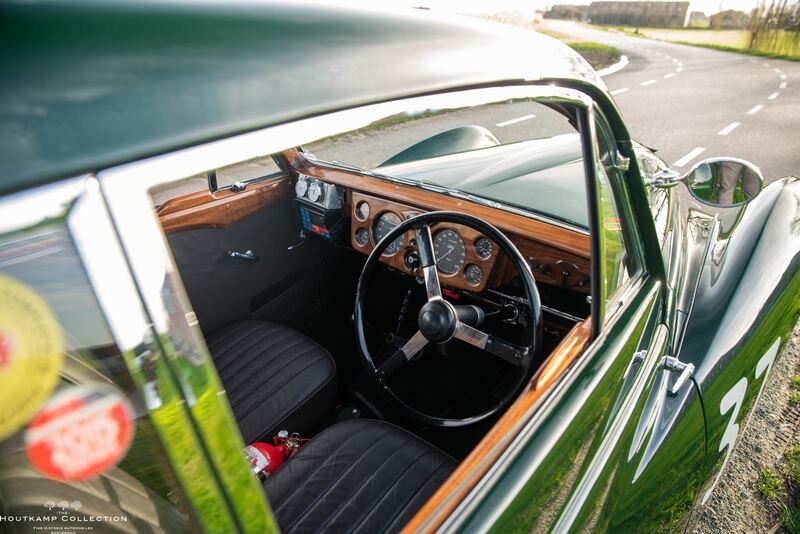 All windows are in a nice, unscratched condition and also the chrome is in a wonderful condition. 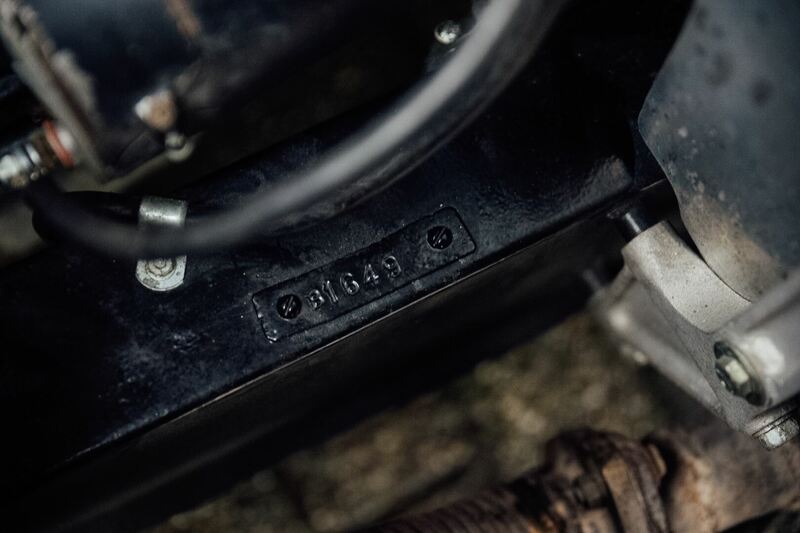 The nice details such as the original race number is off-course amazing. 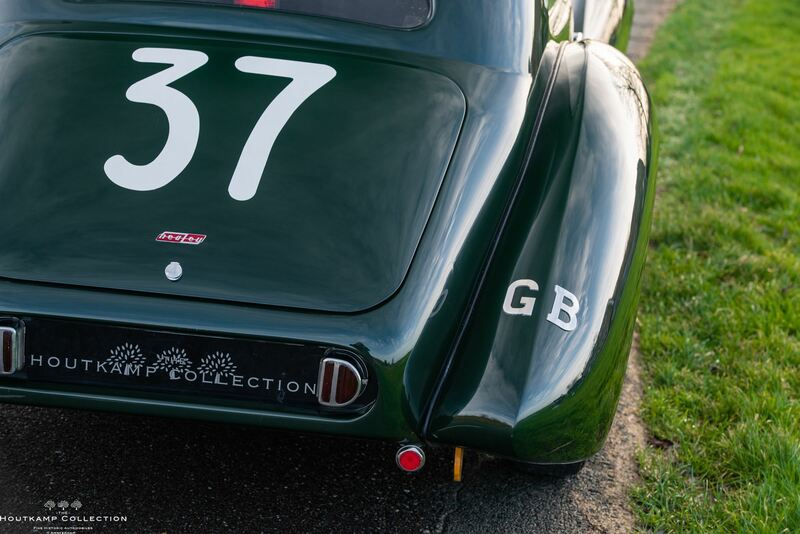 The number 37 has a meaning as it was the startnumber in the 1948 Mille Miglia. 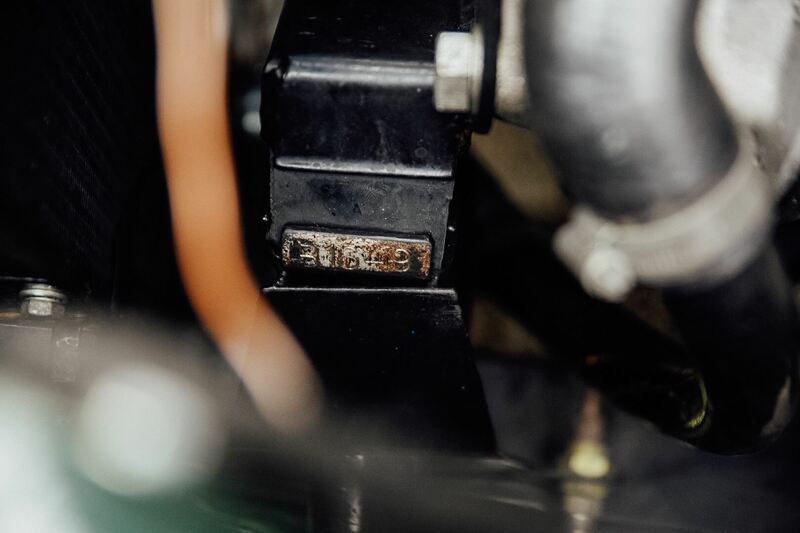 A detail which may never been taken off in our opinion. 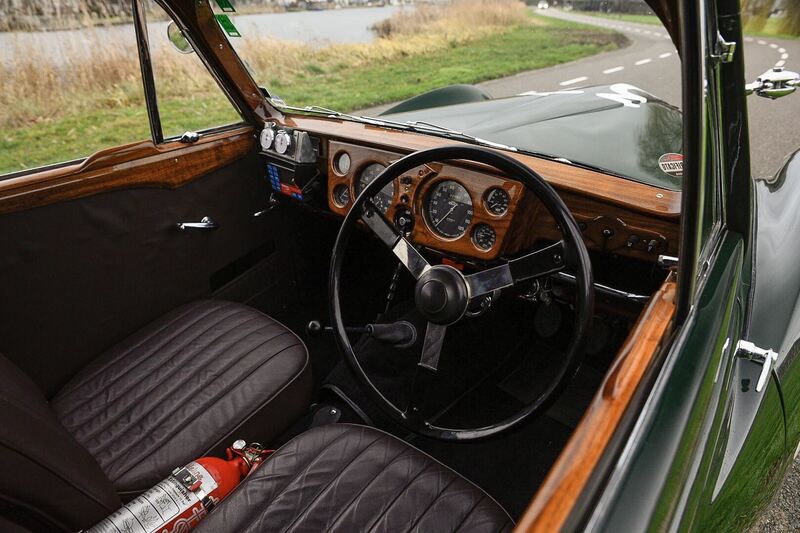 One can see that this car is a drivers car, not a pristine concours car although it is in a very nice condition. 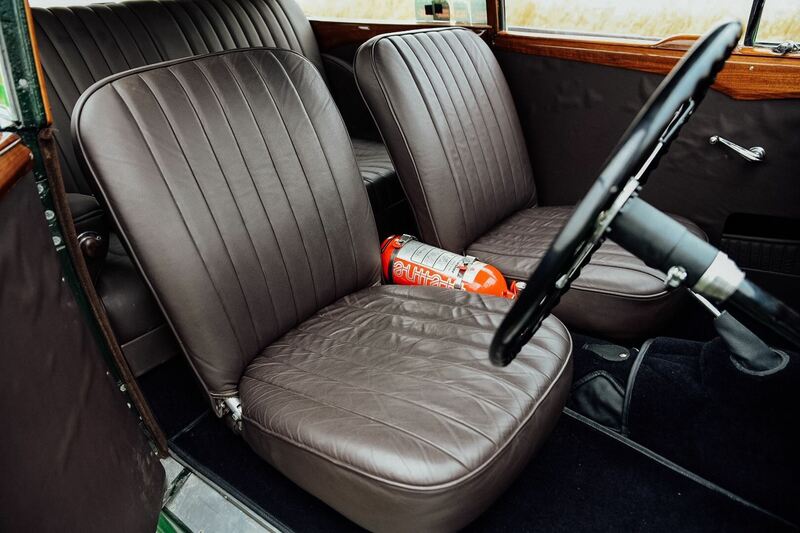 The interior is as the exterior. Not too new but in a very nice condition. Absolutely no attention is needed. 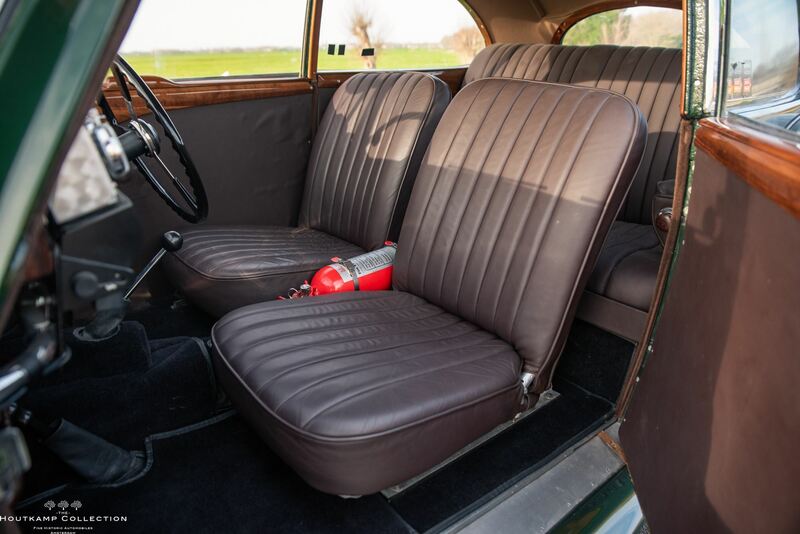 The carpets as well as the leather on the seats are in a wonderful condition. 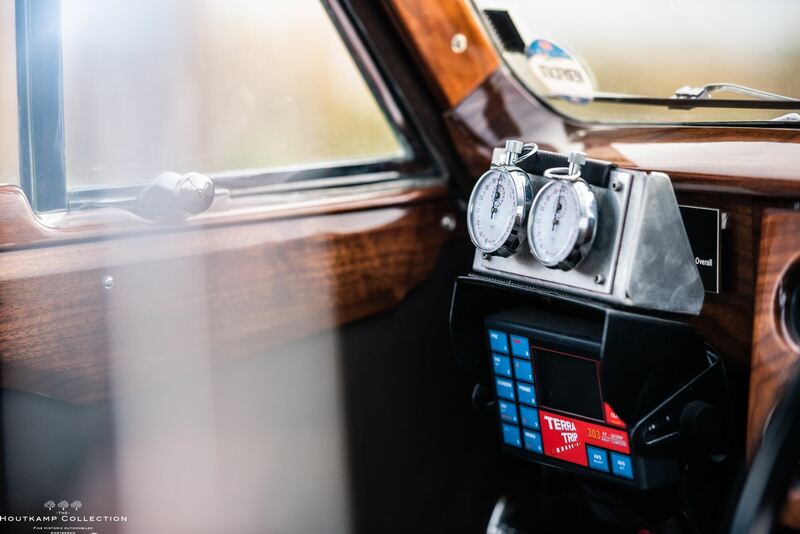 The car is complete and ready to go for the Mille Miglia as a tripmaster as well as stopwatches are already installed. 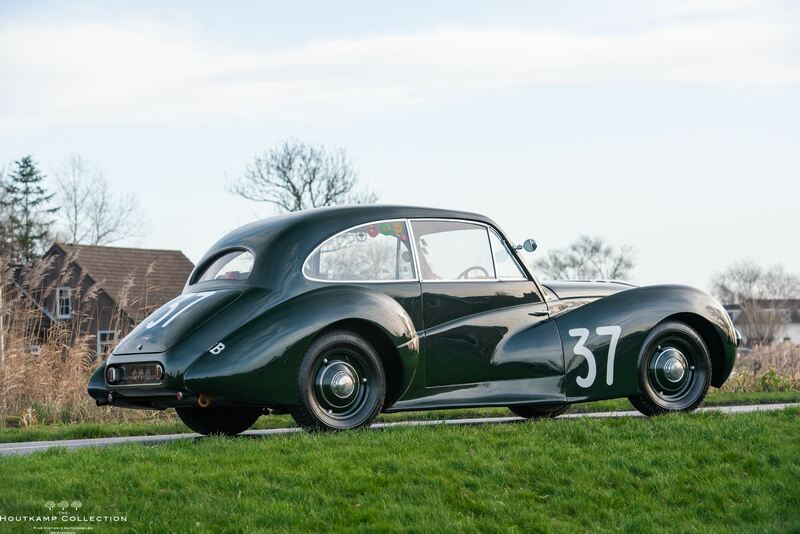 Recently (end of 2018) RPS rally preparation services in the UK has carried out a full check on the Healey as a preparation for the 2019 Mille Miglia. The entire engine has been dismantled and invoices show the work which has been done on the car. 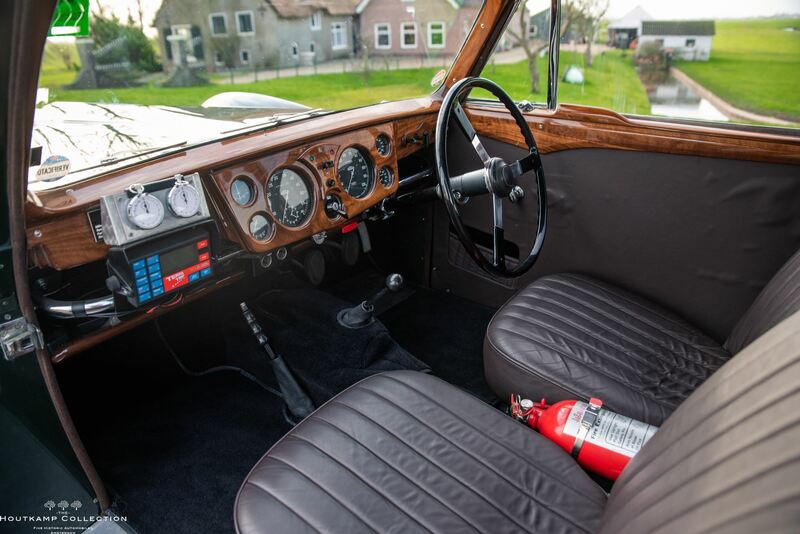 The car is driving fabulous and is running immediately and is easy to handle. 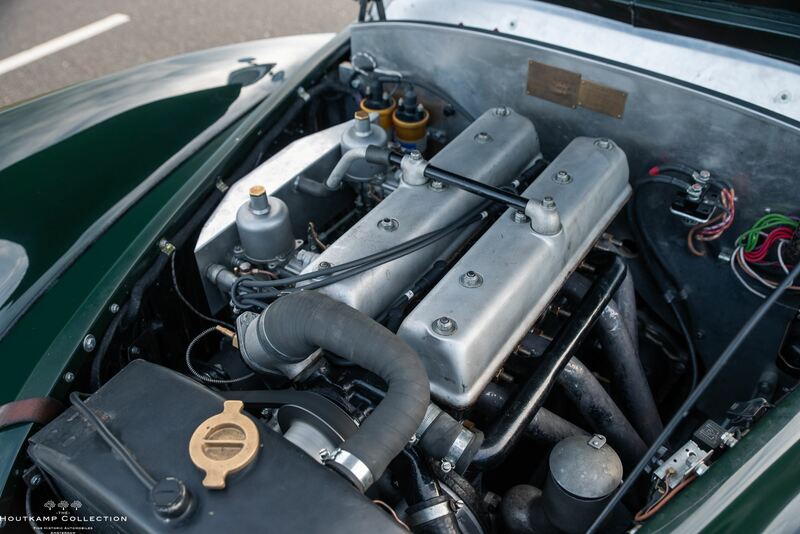 The car is in generally excellent condition, the engine in particular having a 300 -or-so miles after it’s complete check and rebuilt which was done in 2018. 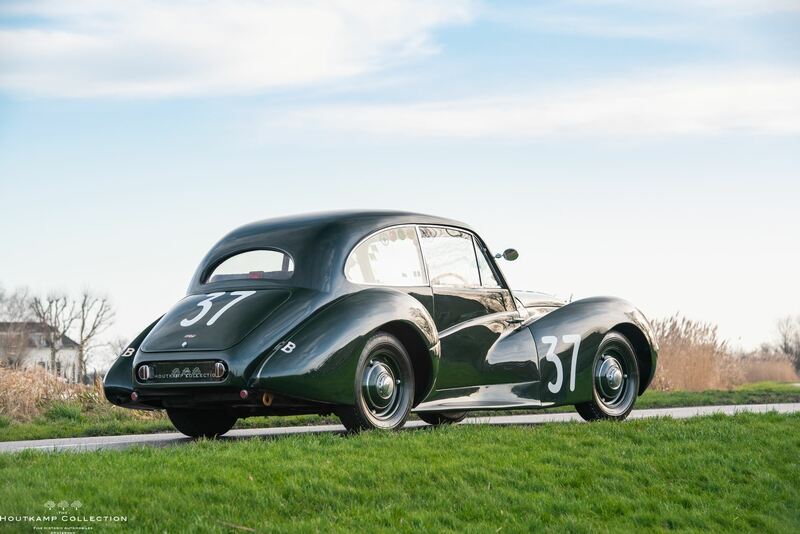 This is an extremely rare opportunity to acquire a veteran Mille Miglia example of one of these handsome sporting saloons that aroused such interest in their day for their unique combination of performance and precise roadholding. 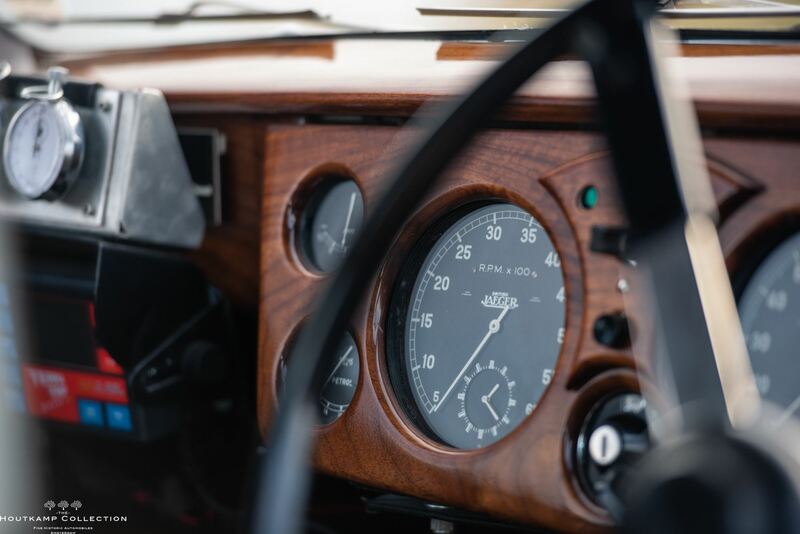 The car is recently technically completely checked and is ready, whether that be for personal use or as a entrant at the 2019 Mille Miglia edition where the car is subscribed. 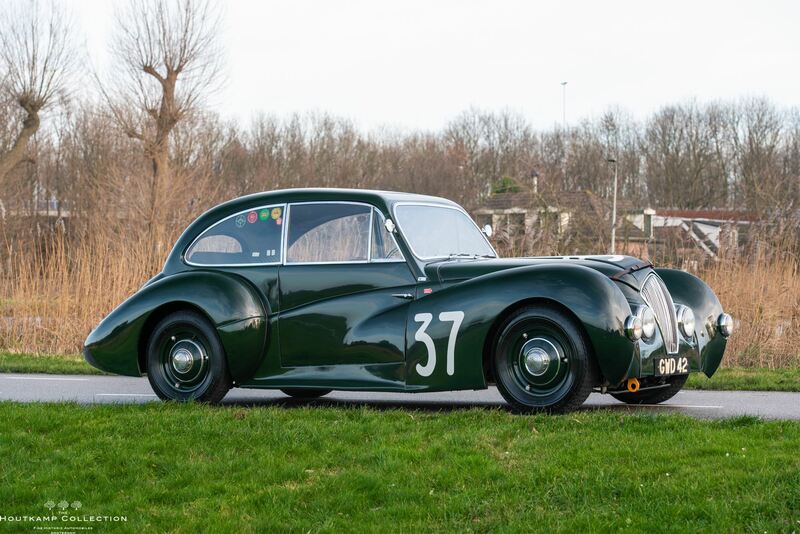 We certainly hope to see this Healey with its new owner in the 2019 Mille Miglia at the start.